I love to bring little festive touches into my home for each holiday. 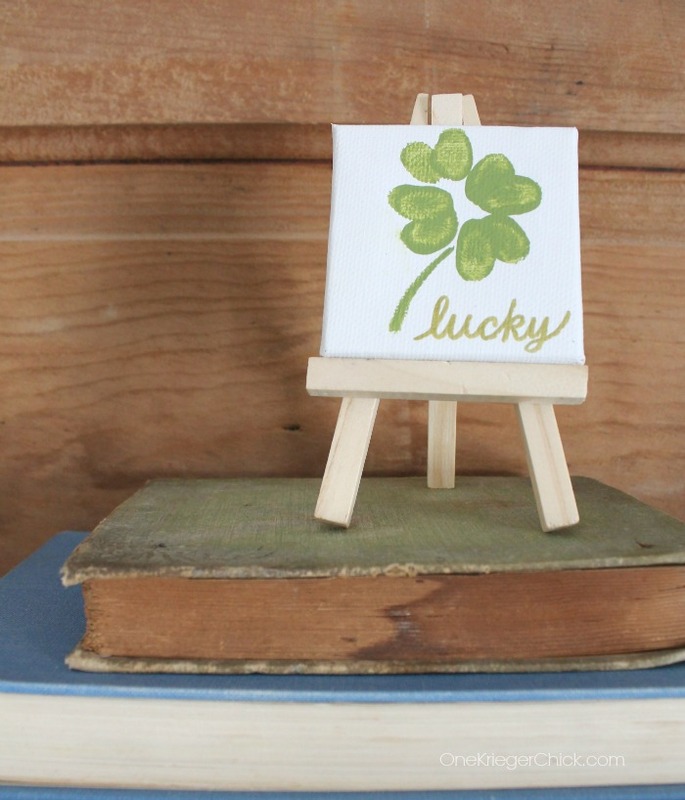 These mini canvases are perfect! 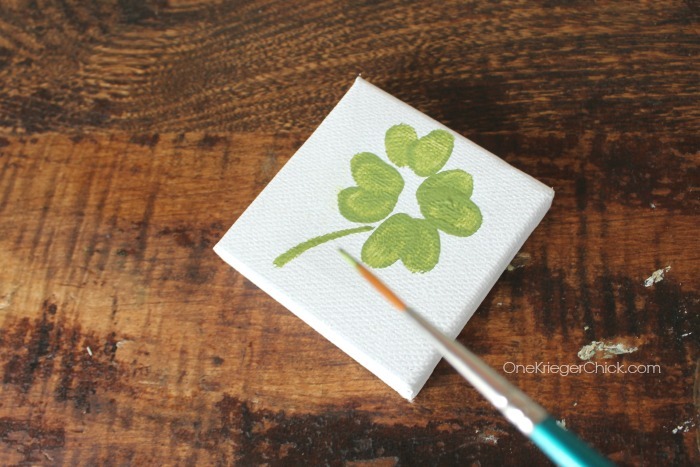 They are small, festive, and a super cute way to preserve those darling little fingerprints… Let’s get started…Did I mention this is a quick craft too? Great for children with short attention spans. 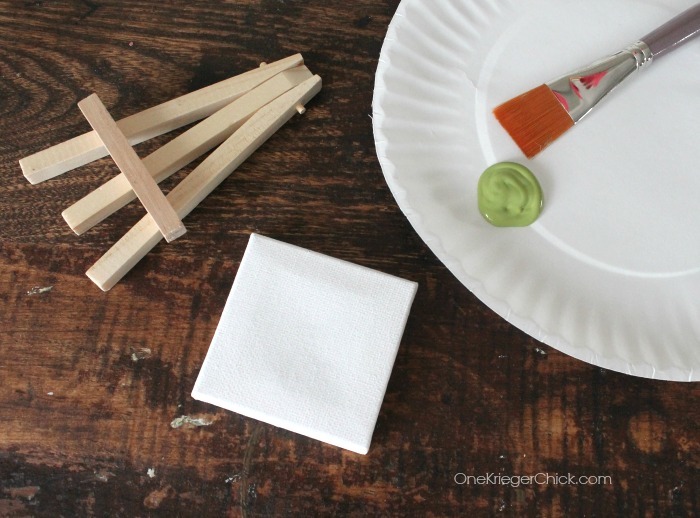 You’ll want to work with one finger and apply fresh paint for each new fingerprint. 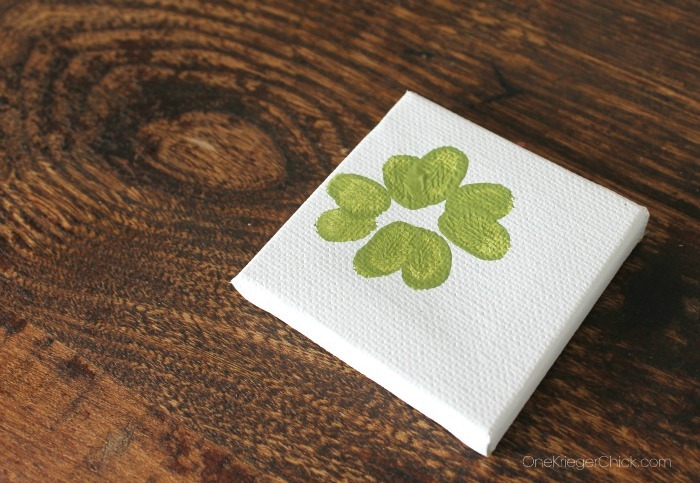 To make a shamrock, press one fingerprint onto the canvas. Follow with another print attached to the bottom of the first print…making a ‘V’ shape. 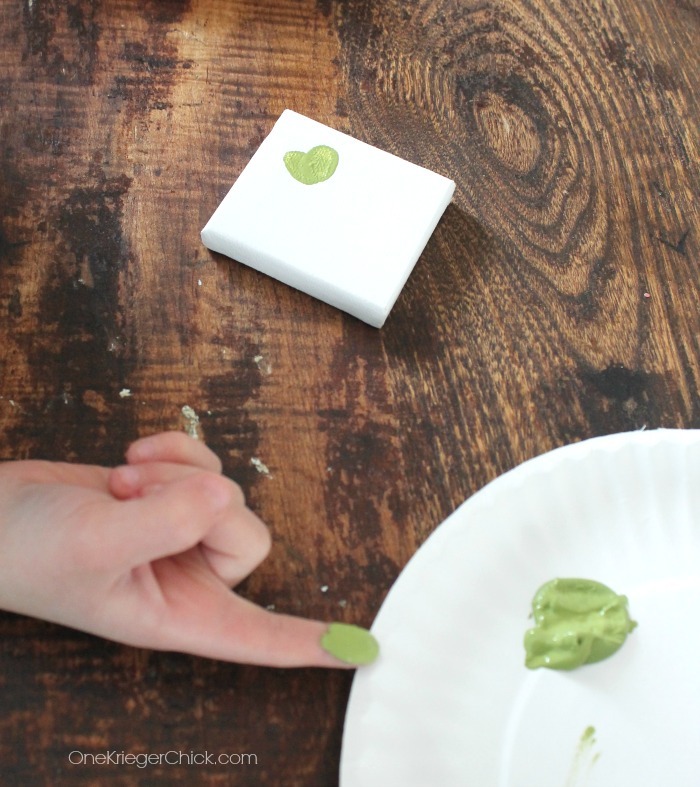 3 year old and 5 year old fingerprints…so cute! Everything is cuter in mini, right?! 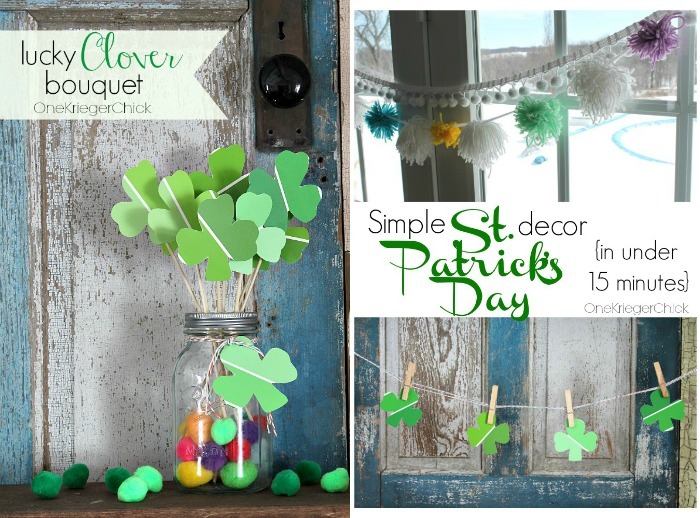 If you liked this quick home decor idea, you may also like some of my other St. Patrick’s Day decor…Love to have you pop over to OneKriegerChick and check it out! 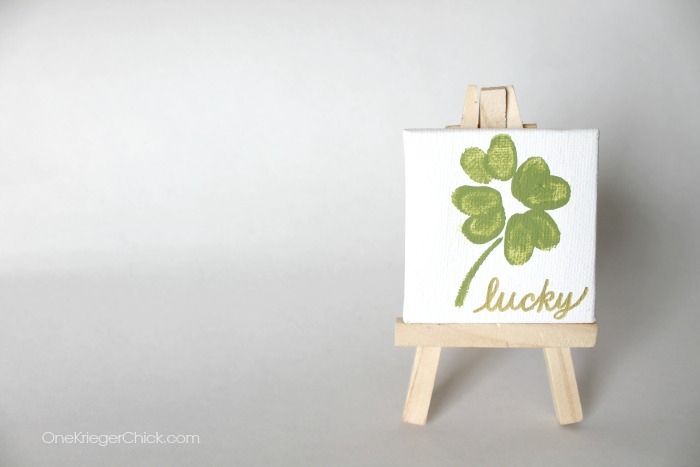 « Deal Alert – JBF! It is a really beautiful project. This is so adorable! A great way to capture little fingers indeed! 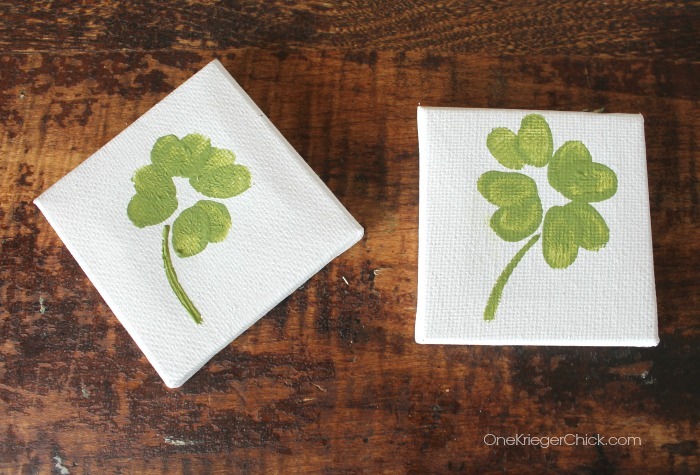 Such an adorable idea – gotta try it. 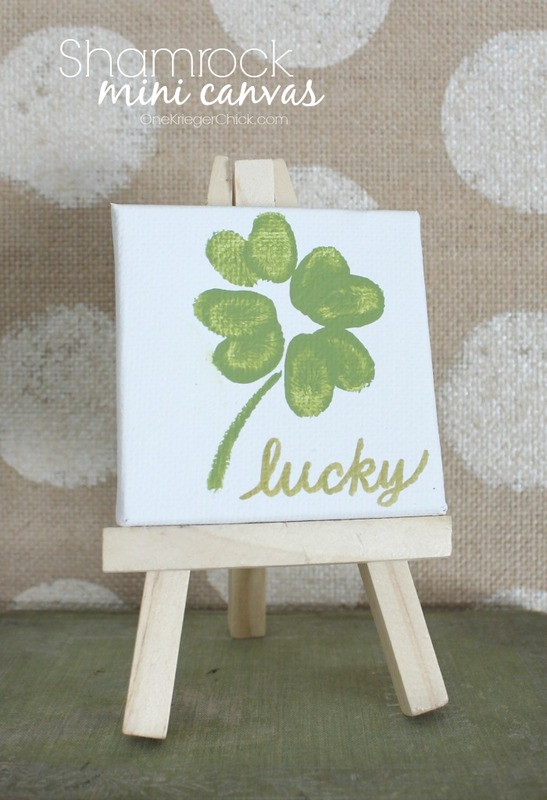 Hi- I would like to use this (with attribution) in a free St. Patrick’s Day Celebration guide. Please let me know if there are any concerns with that. Thanks!